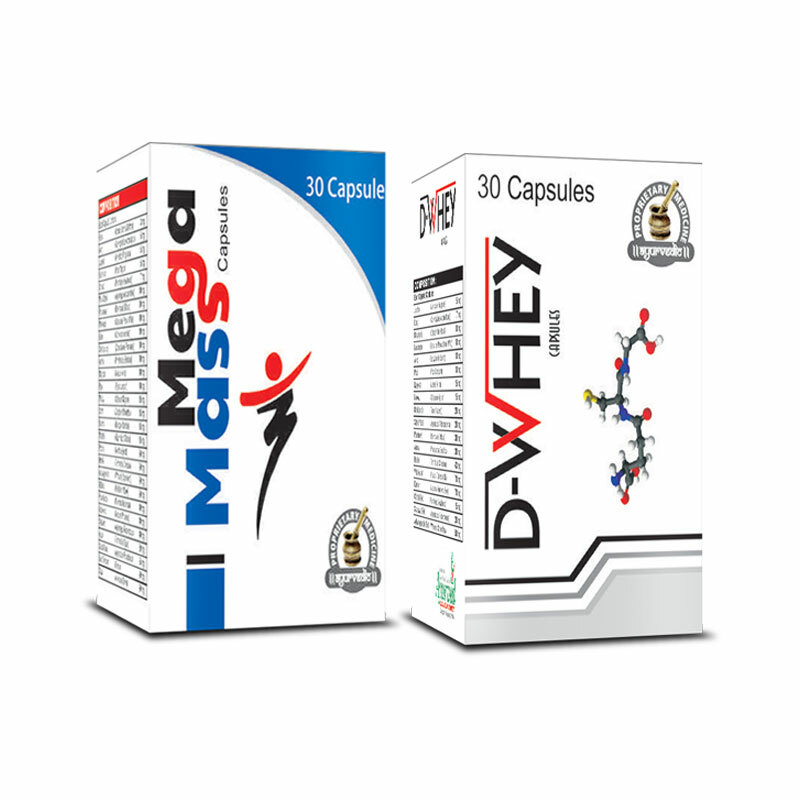 Mega Mass and D-Whey capsules are highly beneficial herbal mass gainer pills to increase muscle mass naturally. These natural mass gain supplements come with herbs which are sources of minerals, vitamins, protein and healthy fats in bioactive form. These nutrients get absorbed in body smoothly and speed-up generation of muscle and bone tissues at faster pace. These herbal muscle gainer supplements also speed-up metabolism so that body gains optimum nutrition from diet and maintain muscles energized and strong. Some of the herbs in these pills suppress toxins in blood and digestive system and curb free-radical mechanism to keep muscles and organs protected. Mega Mass and D-Whey capsules grow lean muscle mass and work excellently for skinny people to gain shapely and muscular body in a natural and healthy way. Natural mass gainer pills increase appetite and bring healthy eating pattern. These cleanse internal system by regularly removing waste matter through bowel movements and urine and maintain upbeat liver, kidney and colon functions. Herbal mass gainer pills provide energized and healthier body and improve secretion of bile and other digestive enzymes and fluids. These herbal mass gainer pills correct poor hormonal balance and maintain sound physical and mental health. Some of the herbs enhance immunity and protect health from damaging stressors. Increase muscle mass and add bulk to body curing skinniness and thinness. Provide healthy weight and shapely strong body with higher muscle mass and thick and dense bones. Improve metabolism, immunity and cardiac and circulatory system of the body. Promote healthy eating pattern, increase appetite and regulate proper defecation. Eliminate toxins and free-radicals and cure disorders like indigestion, bloating, constipation etc. and improve liver and kidney functions. Generate tissues at faster pace and maintain secretion of health promoting hormones in proper balance. These also improve enzymatic activities and secretion of digestive fluids to improve metabolism and absorption of nutrition. Promote faster fat, protein and carb metabolism to keep a person energized and muscles strong and high in endurance. Remove deficiencies by supplementing wide range of nutrients. These supplements are easy to use but one should eat nutritious high protein and fibre diet, and exercise regularly for faster and better results. Consume one or two pills after breakfast and dinner with water or warm milk to gain amazing health benefits. I bought this product for my wife who has struggled with weight and I am starting to see curves that I never knew she had. She is picking up some well-needed weight and I am loving the results. Awesome product. Mega Mass and D-Whey capsules are working so far. Almost a full month taking this and seeing results already. This weight gainer really helped me gain weight. Best way to gain muscles mass. This combo is perfect for me. AWESOME! I will buy more health supplements soon from this website. I was involved in strenuous job. Gradually the excess strain started affecting my musculoskeletal system negatively. My muscles were troubling me by causing pain and cramps. Muscular injuries made my joints weaker as well and my physical endurance deteriorated rapidly. After using these supplement my strength and endurance improved considerably in a short time. Now I am working with more verve without facing any troubles later. I feel lot fit and strong these have made my muscular mass and endurance higher. Excellent supplements. These work even if you have irregular exercising regimen. I was too busy to maintain my exercising schedule but when I started using these pills my body started showing positive changes right after one month. My fat was dissolving even from difficult areas like flanks and buttocks and body was gaining strength and endurance. Now after three months use I am in best shape and high on endurance and stamina. These have given my body more muscles which also keep my fat burning rate higher throughout the day. Wonderful supplement. I was weighing right on scale but my body was out of shape. Fat was not going away from my flanks and abdomen and keeping me broad from middle. Use of D-Whey capsules with same diet and daily routine gave me shape and figure in few months. 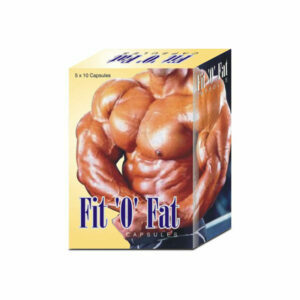 These supplements come with unique property to convert fat into lean muscles and you get strong, shapely and curvy figure in months. There are no side effects as these are perfectly natural and of course no withdrawal symptoms either, stupendous.